International Moving Company - Compare Movers & Save up to 70% ! There can be a lot of stress and worry when you are arranging an international move, but thankfully help is at hand. Enlisting the assistance of an international moving company is not only an investment for helping you save time. It also can really help reduce the pressure. You’ve got enough on your plate when you are making an international move, so spending a little can save you a lot more! Intlmovers is a handy tool that lets you compare a number of international moving company quotes. Everyone knows that comparing quotes can be a great way to save money. When you are busy organizing everything else for your international move, you simply may not have the time to do all the ringing around. 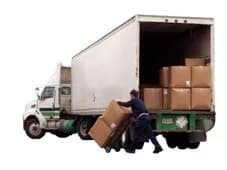 Don’t sweat it – Intlmovers does it for you, and it is a free service so making the comparison is quick, easy and costs nothing! The way the site operates is very easy, and will only take you a couple of minutes to complete. Simply select the departure country and arrival country using the drop down menu, and click on the orange button to find moving companies immediately. You’ll be presented with a list of international moving companies who match your moving selection. Fill in some basic details about your moving needs and the international moving company will then arrange a quote with you directly. You can receive up to six quotes from six different companies in a single request! The international movers have many years of experience with international removals. Avoid stress by letting the international removal companies manage the logistics.